PHILADELPHIA, Pa., Oct. 22, 2015 (SEND2PRESS NEWSWIRE) — Journey Sales, a leading provider of innovative customer engagement solutions for advisors and sales professionals, is pleased to announce that they will be a sponsor of the 2015 LIMRA Annual Conference, to be held October 25-27, 2015 at the Sheraton Boston Hotel, Boston, Mass. Journey Sales’ flagship product, Smart Rooms, has enjoyed successful adoption in the insurance industry, demonstrating that carriers, advisors, and customers are ready to embrace a digital engagement model to increase performance across distribution channels. Advisor Engagement Smart Rooms are changing the way in which insurance companies and distributors are digitally engaging and are the first advisor and client engagement platform built natively into Salesforce(R). Wholesalers strive to improve how they connect with advisors as they often spend a disproportionate amount of time and effort being reactive versus being proactive. The cloud-based Smart Rooms solution brings a new approach for wholesalers to manage and engage their brokerage, institutional, and captive advisor groups for more effective recruiting, on-boarding, product education, and support. With Smart Rooms for Advisor Engagement, wholesalers can expand their reach, improve advisor productivity, and close more business by establishing powerful digital connections with their producers. Smart Rooms are easy to deploy and use, Salesforce1 Mobile certified, and are available for download in the Salesforce AppExchange(R). Come see us at the 2015 LIMRA Annual Conference. More information can be found about the conference here: http://www.limra.com/annual/. Founded in 2014, Journey Sales is a provider of cloud-based solutions dedicated to improving the sales process through better alignment with buyers’ needs. Journey Sales’ flagship solution, Smart Rooms, helps busy sales professionals close more deals more predictably by enhancing customer engagement throughout the sales process and the entire customer lifecycle. Smart Rooms are native to Salesforce(R) and are used by customers in various industries including high technology, insurance, and consulting. For more information visit http://journeysales.com/ or follow us at https://www.linkedin.com/company/journey-sales, and view our video about Advisor Engagement here: http://journeysales.com/resources.html#prettyPhoto/17/. 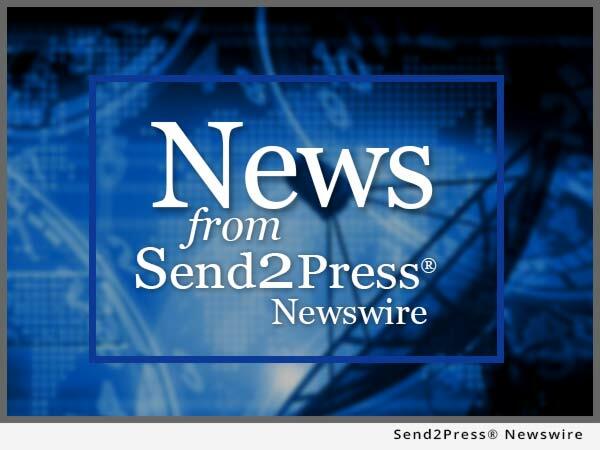 To view the original version on Send2Press Newswire, visit: https://www.send2press.com/newswire/journey-sales-announces-sponsorship-of-2015-limra-annual-conference-2015-1022-02.shtml. NEWS SOURCE Journey Sales :: This press release was issued on behalf of the news source (who is solely responsible for its accuracy) by and Copr. © 2015 Send2Press® Newswire, a service of Neotrope®.